I need 2 experienced groomers. (Equipment provided, if needed.) Guaranteed salary for the first 3 months. We Talk Dog in Birmingham, AL is is looking for an experienced groomer to add to our team as we grow and have more clients than we can give quality grooming services too. We Talk Dog is a top notch boarding, daycare, training and grooming facility, we only deal in quality work, not speed. 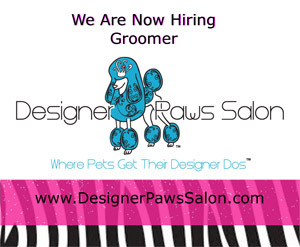 We are expanding our grooming facility and are looking for an experienced groomer to come in and be part of our team. Please send any resume by email. Thank you! Generation Dog's Rub-a-Dub-Dog Bathhouse and Spa seeks a groomer to join our team. This is a great opportunity for someone looking to reduce hours without drastic cut in pay as our groomers tend to make more than other salons, especially veterinary or corporate grooming environments. Our pricing reflects the value our appointment only, cage-free approach offers to our clients. We have been open over a decade and have been caring for some dogs that long but still get new client calls daily. We have had to take a break from accepting new clients due to the holidays but we have a wait list and stay busy year round. You will work alongside several of the best groomers in the area and serve the most loyal and generous clients. The ideal candidate will not only be an excellent groomer, but will also be self-managed, reliable, trustworthy, drug-free and able to work well with our current team. You need to have a professional appearance and demeanor and be able to communicate well with all clients - human and canine - and make both feel comfortable. Everyone here gets along well, helps each other and laughs a lot and we intend for it to stay that way. We are also a smoke-break free salon so if you cannot make it an entire work day without smoking this is not the job for you. If you LOVE dogs, LOVE what you do and can't imagine doing anything else then we definitely want to meet you!